Every machine we have in our lives has evolved. Your car has more electrical and computer systems in it then it did just 20 years ago. The first microwave weighed 750 pounds. And refrigerators used to be “powered” by blocks of ice. A new year brings new developments in machines from your home computer to the robotics used in factories. All of this machine work serves one purpose: The make our lives better. However, there are some things that can make our lives better without the use of machines. That would be a thorough junk removal session from Junk King Albany. Take a moment to think about all the ways junk is cluttering up your home and lives. All those unwanted outfits in your closet make it a struggle to find something to wear each morning. The rubbish in your garage might prevent you from parking your car in there. If you can squeeze the car in, then you have to fight your way through boxes and clutter just to get into the house. There could also be all kinds of old computers, TVs and DVD players taking up valuable storage space throughout the house. Now think about what your home would be like if all that unwanted clutter were gone. Junk King Albany can make it happen in a matter of minutes. On the day of your appointment with Junk King, the crew will keep in touch to let you know when they’re close to arrival. Once they show up, you can take them on a tour of your home to show them all the things you want taken away. Some folks feel as though they should put everything into a neat pile on the driveway. That would defeat the purpose of hiring Junk King in the first place. Let them do all the lifting, carrying and loading. That is what they’re there for. After Junk King has loaded up the truck, they’ll be taking off for their next appointment and you can enjoy your clutter free home. You’ll wonder why it took so long to hire them! 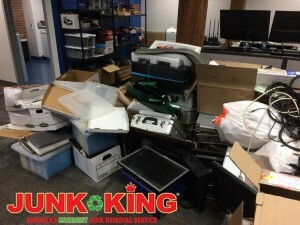 The best approach to junk removal is always to give that job to Junk King Albany. This entry was posted in Albany Junk Removal and tagged Junk King, junk removal on January 31, 2018 by Junk King. Last updated January 31, 2018 . 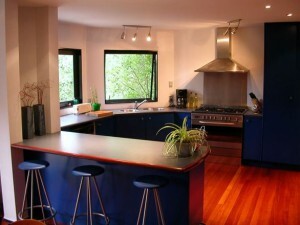 A great kitchen is at the top of the list of any prospective home buyer. They are also the most popular remodeling projects that often return up to 100% of the of cost. In some cases, you might even find that a remodeled kitchen or bathroom can allow you to add double what you spent onto the value of your home. The caution is to make sure that remodel is something that would appeal to a majority of buyers. In the kitchen, you should think traditional with all wood cabinets, natural wood or stone floors. Countertops should also be stone and not tile. You should also think about replacing your appliances with new energy efficient models. Those can provide a return on the investment directly through your power bills. In the bathrooms, walk-in showers have replaced tubs as the must-have item. Most people don’t have time to take a bath and would much rather devote that square footage to a comfortable shower that allows for great steam and water pressure. You might also want to replace the sink and toilet to match the design of your new shower. Keep in mind that your home improvement project should be something that you will be comfortable living with while you’re still in the home. There are also many ways that you can save on the cost of your remodeling. For instance, you can do a lot of the demolition on your own. The only thing you would need help with is removing all that construction waste. One call to Junk King Albany gets it done. These professional junk haulers have a lot of experience removing all types of demolished counters, cabinets, appliances and drywall. The crew from Junk King Albany will make sure your home improvement project isn’t overwhelmed by trash. This entry was posted in Albany Junk Removal and tagged Home Improvement, Junk King, junk removal on January 27, 2018 by Junk King. Last updated January 27, 2018 .